It's worked for me.my 2nd purchased. definitely will purchase again.thanks! Item received in good condition and good buy! This is my 2nd time purchase & really works on me. Thanks. Received in 3 days . The pills looked oxide... strong smell and weird color. My 3th purchased. So far so good! Repeat buyer, fast and prompt delivery!! As always, fast delivery with item in good condition. Highly recommended seller!! First time trying this product. [Qprime]Purely Inspired Green Coffee 800 mg 100 Tablets. 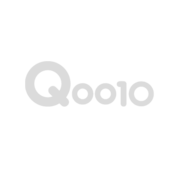 Qoo10 Supported Pricing! First 300 orders!